Follow these women academics for inspiration on health and wholeness. Let me know who I missed! Also check out Fitdorks a blog and instagram account Lady Dork runs with her college buddy, Jevay Grooms. Tiffany Rothe is the mastermind behind the Tiffany Rothe Fit Club (TRFC). Producing content in both English and Spanish her free YouTube videos are a great resources, and she also has exclusive content for her Rothestar members. Fun fact: She earned her JD from USC. As she states on her website, Dr. Ellis-Harvey is a “Licensed Psychologist, Associate Psychology Professor, certified life coach and vlogger. [Her] YouTube channels BeautifulBrwnBabyDol” and “BeautifulBrwnBabyDolTV” were created to share [her] struggles with low self-esteem, poor self-image, and battles with depression. [She] also shares healthy psychological tips, beauty tutorials, and the journey to loving herself. Dr. Henerson is currently a Teaching Assistant Professor of at George Washington University School of Public Health. 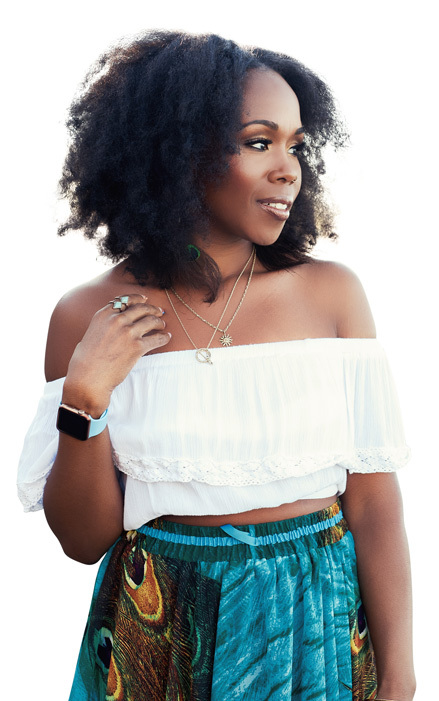 In addition, she is the founder of BLK + GRN, which is “the only premium purveyor of a variety of clean, natural, Black-owned products. [They] partner with the best Black-owned brands that are creating specialized products that support a holistic + healthy lifestyle.” Read more here.